Being college students ourselves, we know first-hand how hard it can get to eat healthy during the school year. On top of that, doing so can get expensive, especially when searching for healthier and / or organic foods. But we refuse to settle for eating out every meal or having only microwaveable dinners. From a little bit of research and our own personal experiences, we’ve come up with 7 tips to help you eat healthier with ingredients that won’t break the bank. Buying produce that’s in season is generally cheaper than produce that has to be imported from other areas. The taste is much fresher and sweeter too since it’s coming from local farmers. Doing this can also force you to get more creative, and get out of your comfort zone in the kitchen. For example, take a stab at this recipe for squash with dates and thyme, using the seasonal starchy vegetable, and you won’t be disappointed. Lack of time is a big reason many people skimp on cooking, eat out more and thus, spend more money on less nutritious food. One way to avoid that is to plan your meals ahead (with flexibility, avoiding any diet-mentality). Even just bringing snacks with you on the go can prevent you from getting to the point of hanger -- the emotional, will-do-anything-for-food-state--where you’ll grab whatever to eat, healthy or not. Another way to both make sure you’re prepared and make the most of your groceries is to meal prep, like @LeefromAmerica does so beautifully (get on her level with her meal prep guide). Prepping foods like overnight oats, roasted veggies, pesto, grilled chicken, and 7-minute jammy eggs, can help you mix and match for meals throughout the week with no stress. There are endless food options with whole grains, and many of them won’t cost you much at all. Whole grains like corn, oats, quinoa, rice, and wheat are some of the most affordable grains and can be used to make filling breakfasts, rice dishes, and salads! They’re a great way to stay fueled for the day and have a lot of nutritional benefits too. 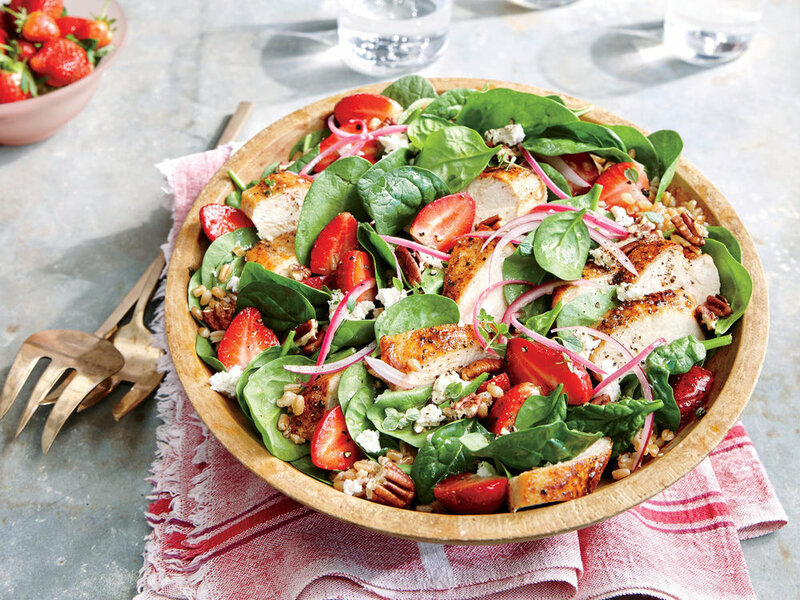 Click here for more recipe ideas using whole grains. You may be surprised, but potatoes are actually one of the healthiest foods in the world. Even better, they’re in season all year long! Potatoes have lots of great vitamins and fiber to keep you nourished and satisfied throughout the day. There are endless ways to eat potatoes, and you can even make your own homemade fries without oil! Here’s a great recipe for oil-free oven baked fries! 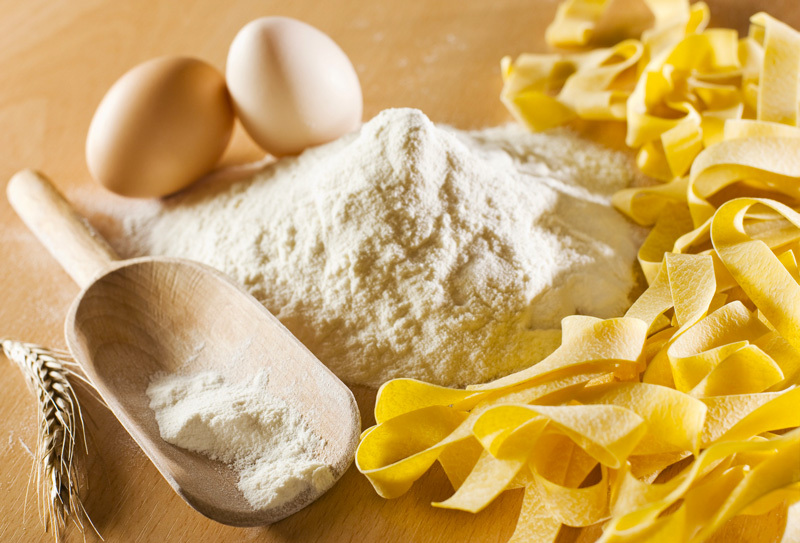 Pasta is one of the cheapest, easiest, and least time-consuming meals to make. We live on banza, the chickpea pasta, but you can now find gluten free and veggie-based pastas at almost all grocery stores. So, get yourself a box of pasta, your sauce of choice,, and your favorite vegetables for a quality meal made right at home. If you’re feeling fun, make a cashew or cauliflower-based “mac” and cheese sauce, or click here for some more healthy pasta inspiration! We all know about buying in bulk to save some money, but try buying whole for a change! Buy products like chicken, vegetables, and cheese in whole amounts and cut them up yourself. This not only a way to be more sustainable and save plastic, but can also help for meal prep purposes and give you more flexibility to get creative with your ingredients. Cut some veggies for roasting, and save the rest to eat raw. Shred some chicken for tacos, and mix the rest into a salad! Using your food for multiple meals will help you have more fun with your meals and get more bang for your buck. Farmers markets offer some of the freshest foods you can find from local vendors and businesses. You can typically find lower prices on certain items here as compared to grocery stores. Depending on the market you visit, produce and other fresh foods are often discounted at the end of the day so the food doesn’t spoil or go to waste. 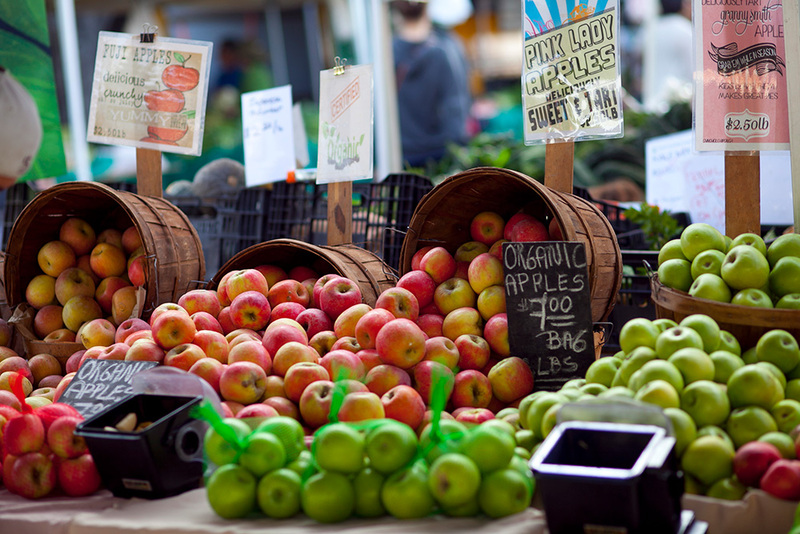 Check out your own local farmers markets to see what they have to offer. Grocery stores and supermarkets often offer several versions of items, like yogurt, and brand name products can cost almost double the price of no-name brands. The ingredients and quality between the products are usually the same, so as long as you check the nutrition label, opt for the cheaper alternative!